The Complete Bordeaux Value Wine Guide to the best, smaller, lesser known wines, vineyards and chateaux with wine tasting notes on all the top Petit Bordeaux chateaux. You can also find detailed profiles on the best value wines with information on the vineyards, winemaking, terroir, history and images. The Bordeaux value wine producers, wineries and chateaux you can reach on this page using the links to the left side of the screen, do not have extensive, detailed pages devoted to their estates on The Wine Cellar Insider website. 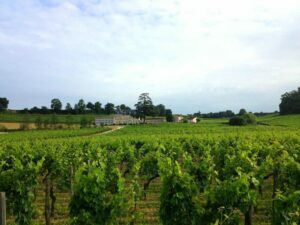 Most of these Bordeaux vineyards and estates are not that well-known to many consumers. Yet, these petit chateau can produce outstanding wine in their class. This is good news for savvy wines buyers, because most of these Bordeaux value wines that you can read about on this page cost $30 or less! The various Bordeaux value wine estates on this page have vineyards located in a myriad of different appellations all over the region of Bordeaux. Some vineyards, which are mostly planted with Cabernet Sauvignon are situated in the Left Bank, where the properties cover a wide range of terroirs and soils as well as quality levels including Cru Bourgeoisie estates in the Medoc and Haut Medoc appellations. You will also find wines classed as Bordeaux Superieur along with numerous Right Bank producers in both Saint Emilion and in Pomerol. Here, we also cover the numerous Satellite regions and various appellations in the Right Bank where Merlot and Cabernet Franc are the kings. Another reason estates are often listed on this is page is that either I seldom get the opportunity to taste the wines, or I might not have any tasting notes on the estates to add to their page. But the properties do hold interest and several are classified growths, such Grand Cru Classe’ Saint Emilion estates, as well as chateaux classed as Cru Bourgeois. The petit chateaux linked on this page can also produce wines classed as generic AOC Bordeaux. That is not a negative term. In this instance, generic means that while the wines are of the lowest level of classification in Bordeaux, they often produce Bordeaux wine with style and character that represents good value, accompanied by an outstanding quality to price ratio. That is a nice combination that is difficult to find. Plus, as an added value, most of the wines you can read about on this page drink well young. In fact, they are quite delicious the moment they are bottled. I try to taste as many of these smaller, value priced, Petit Bordeaux wines from the widest array of chateaux as possible when I am in Bordeaux. I do this at least once year. Over the past few years I have been to Bordeaux at least twice a year allowing me ample opportunities to taste wine from not only the top estates but wines from more humble origins as well. If you know of any good Bordeaux value wines worth seeking out, that are not already featured in The Wine Cellar Insider, please drop me a note and I will try to taste them when I am over there. One other comment on the wines and wineries of Bordeaux featured on this page, you will also find links to chateaux that over the past few years have been merged out of existence. The reason for that in most cases is, when the vineyards were bought by a new owner, they were annexed into a larger vineyard with a better known reputation.